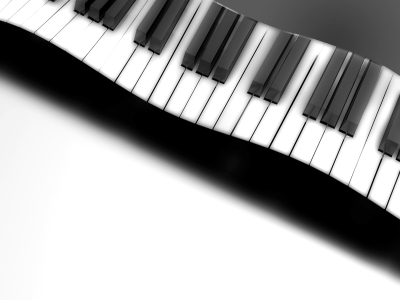 Do you have a musical talent such as playing the piano? If so, there are ways to making money with such a talent, playing at weddings, recording you tube videos and teaching piano lessons are just a few ways to get started, as this may not earn you full time paycheck, it could certainly earn you some pretty decent extra cash! As with any business you are trying to start, first you need to advertise! This can be as simple as posting flyers at local businesses or handing out business cards. This may include your local grocery stores, convenience stores, churches, and schools, but don’t bother going to the music stores to sell yourself, they typically don’t want anyone competing with what they have to offer! You definitely want to appear as professional as possible, so be creative with design and proper wording. You don’t want to overwhelm your business cards or flyers with clipart that distracts the service you are offering, so using art such as a picture of a piano and maybe a few musical notes will definitely send the message along with your name and contact numbers. However, be sure not to give out too much information, you only want people interested in your musical talent contacting you, not every weirdo on the street! Thinking about teaching piano lessons? Again, advertising is the first step in getting some students lined up. Put together a portfolio including a schedule of times that you are available to teach as well as some different musical pieces that you excel in to give an idea to potential clients what kind of music they will be learning. If you are thinking about teaching piano lessons, you certainly do not want to appear unorganized and sloppy! Be sure that you have the prices of various services already set in place. You want to appear confident that your prices are comparable and fair, and you don’t want to stand there thinking about what to charge in front of the client! Advertising specials is always a good marketing strategy! For example, signing up for 10 lessons, and get the next one or two visits free, or maybe a free lesson for their birthday! Running even the simplest special makes a client feel they are getting a great deal! Once you have some clients lined up, keep a record of each individual. Be sure to write down each piece of music they have worked on and their progress, this will not only help you to be organized, but it lets the client know how dedicated you are in helping them to progress! This all depends on your level of experience, as not everyone is ready to become the next Play By Hear. If you are just getting started, perhaps only know a few pieces, keep your prices low. Check to see what the going rate is for other people in the field, and advertise at a little lower price. People certainly want the talent, but they also want a good deal! However you decide to present your services, whether playing piano for weddings, parties, or perhaps even funerals, or giving private lessons, there is always a demand in the beauty of this instrument, so get organized, get your flyers out and get ready to make some money!